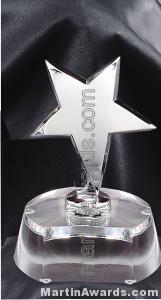 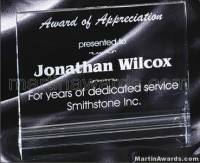 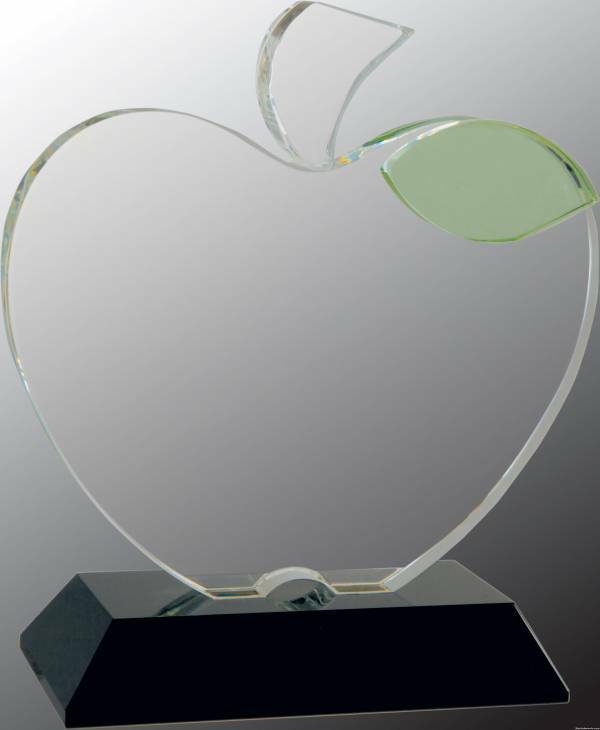 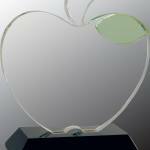 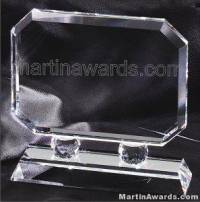 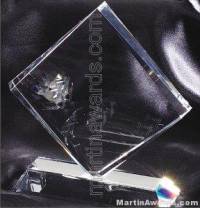 Amazing apple shaped crystal glass award with green leaf mounted on solid black glass base. 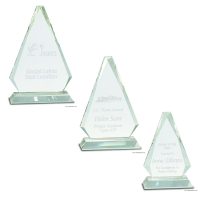 With plenty of room to engrave your sincere message. 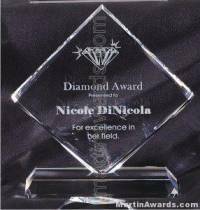 Great gift idea for your favorite teacher, or anyone deserving.